From suffering, and transmutation of grief. Small sphere as it rests in tender palms. A long strand of glittering thanks to Victoria Doerper, who has graced us, once again, with the blessing of a fine poem. Lovely poem. . . haunting. 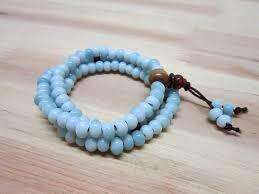 I think of my prayer beads by the bed! Thanks for reading, glad you it spoke to you. Very beautiful poem. Thank You.